How to make Briquettes from the Agriculture and Forestry waste? Agriculture and forestry waste are existing in many area and most of time it’s only waste and not using further. Sometime if such waste not managed appropriately, can pollute the atmosphere sometimes. 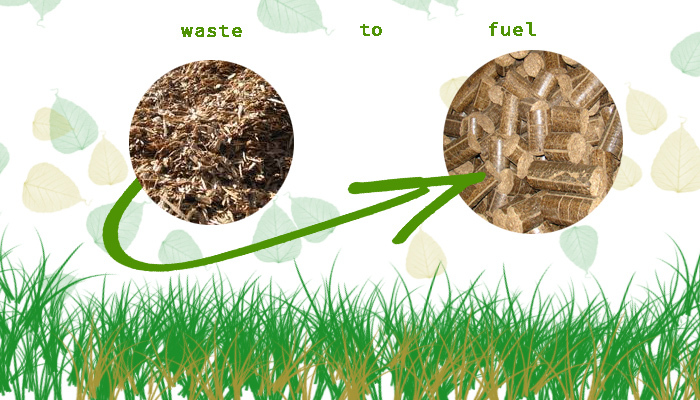 Briquettes Machinery converts such Agricultural and Forestry waste into solid Bio fuel Briquettes without using any Binder. Such binder less process of briquettes production has known us Briquetting Project. Briquetting Process is very simple and it’s required less man power compare to other project. Only we need is Briquetting machine, raw material (with 8-12% moisture, size below 25mm) and Land. Biomass waste of Agriculture and forestry waste feed from one side of the machine. Biomass waste binds into solid through Ram punching and Briquettes come out from other side of Briquetting Machine. This entry was posted on November 17, 2015, 12:49 pm and is filed under Uncategorized. You can follow any responses to this entry through RSS 2.0. You can leave a response, or trackback from your own site.